It's like Counter-Strike but with zombies. 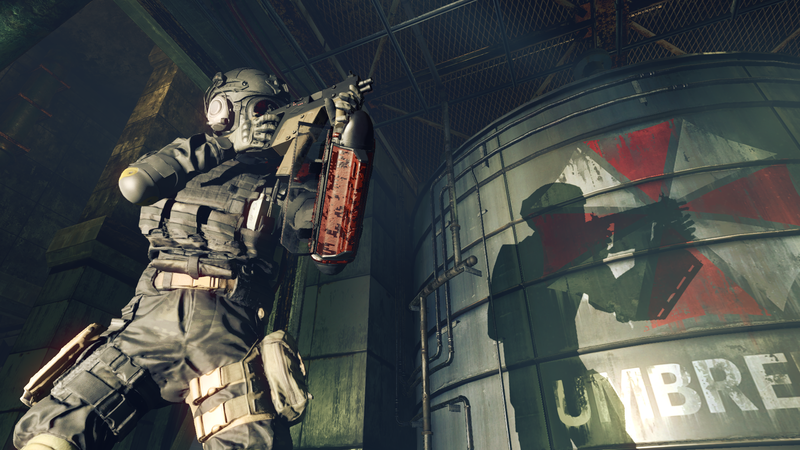 One of the more surprising announcements to come out of Capcom this year was that it was making a multiplayer-focused Resident Evil squad shooter entitled Resident Evil: Umbrella Corps. The game was playable for this first time at this year's Tokyo Game Show, so I decided to go and check it out. What I came back with was, that while it is certainly a new direction for the Resident Evil franchise, the game is really nothing we haven't seen before. 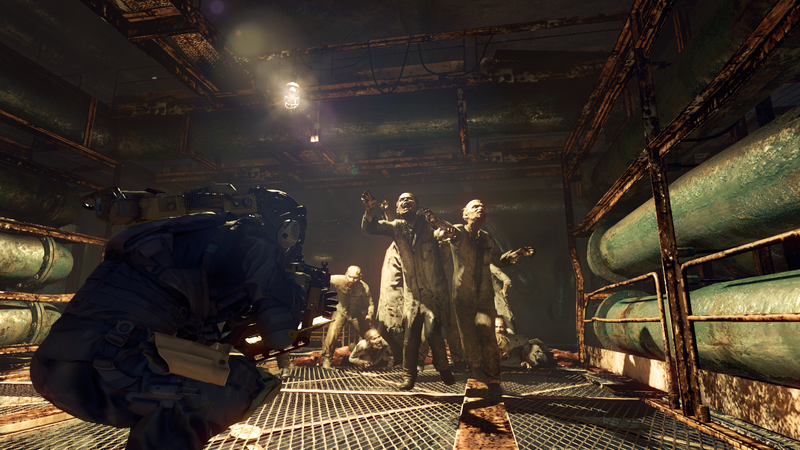 In Umbrella Corps, you team up with two other human players to take on another squad of three players. If 3v3 sounds very small it's because it is, but thankfully, the maps are appropriately tiny enough that it's never too long before you run into each other. The game plays very much like a third-person version of Counter-Strike (although it does snap into first person whenever you aim down your gun sights), and adopts some of the more familiar elements from other modern shooters such as "sticky cover" and one-hit-kill melee attacks. 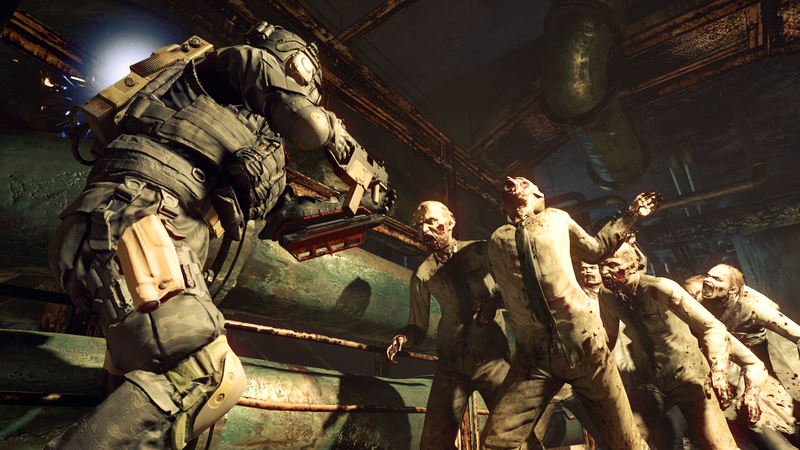 The big twist with Umbrella Corps is that there are zombies! This is Resident Evil, of course there are zombies! The walking dead are scattered randomly throughout the level, and spend most of their time simply being... there. 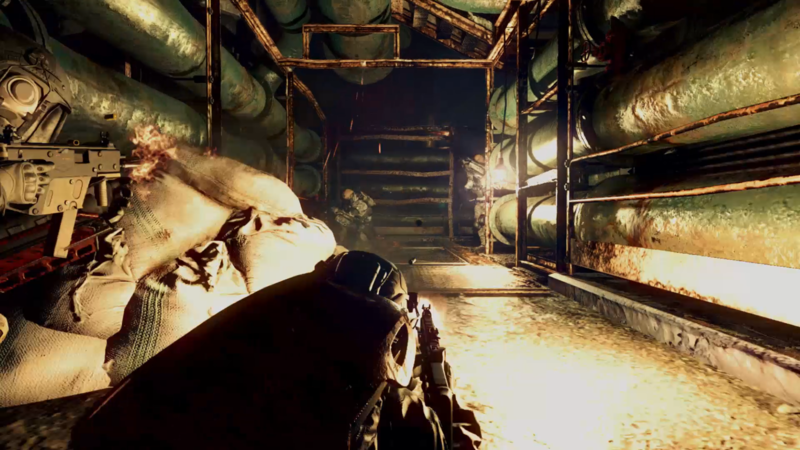 The thing is that all of the Umbrella Corps mercenaries are wearing some kind of experimental zombie repelling gizmo, which means you'll simply walk past them most of the time. 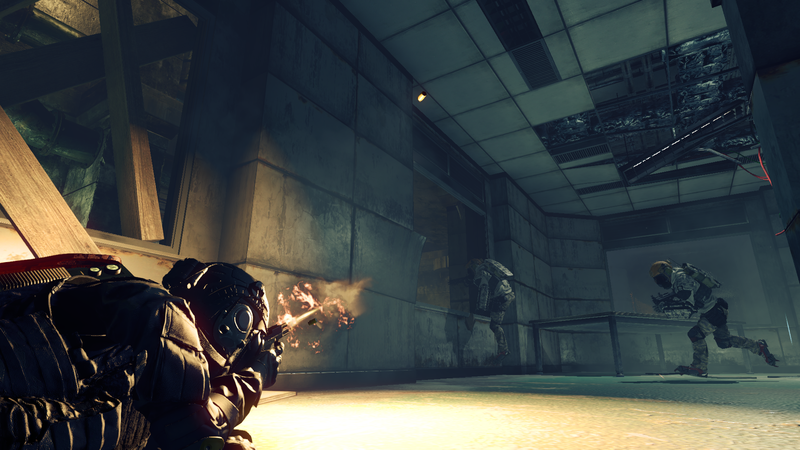 It is possible to shoot an enemy's gizmo, or throw an EMP grenade at them to temporarily disable it, but just like in Counter-Strike if you're being shot at, chances are you are about 0.5 seconds away from death anyway. 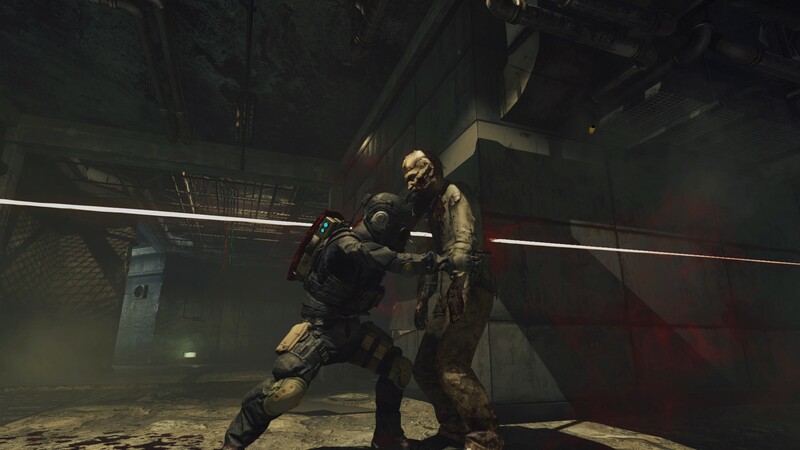 You're also able to grab a zombie to use as a meat-shield, but since this restricts you to either pistols or melee, it's much more effective to just cover behind a wall. You're given points for killing zombies, but unless your gizmo has been destroyed there is no real reason to shoot them at all - it's actually probably more detrimental than helpful as it gives away your position. This isn't to say that the game isn't fun. The controls are really solid, and the gameplay is so frantic and fast that you'll be blowing through rounds in a couple of minutes. The cover and shooting mechanics are quite fluid, and I never felt like I was fighting against the controller. There may be more game modes at launch but the only one they had in the demo was called "One Life Match", which is exactly what it sounds like - and is perfect for the small scale of the game. It really feels nothing like Resident Evil. 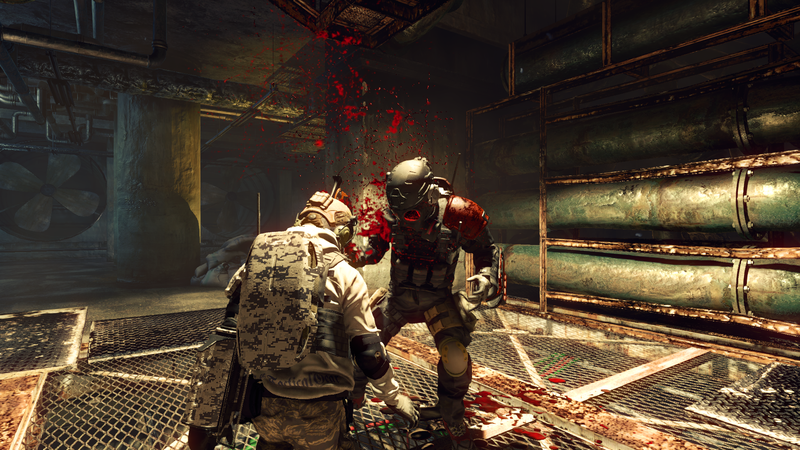 While RE is a slow, clunky game about conserving ammo and being terrified, Umbrella Corps is about running and gunning as fast as you can, while ignoring the zombies unless absolutely necessary. In the demo I played, there were three classes: Assault, Close Quarters, and a third one that I forgot the name of. That's kind of important, as there honestly isn't that much variation between them. Close Quarters has a shotgun of course, but both the assault class and the third class used the same sub-machine gun, with the only difference being in the pistol and the grenade (assault had an EMP grenade). I really hope there are a lot more customization options in the full game, as it really doesn't feel like there is much variation between the classes. 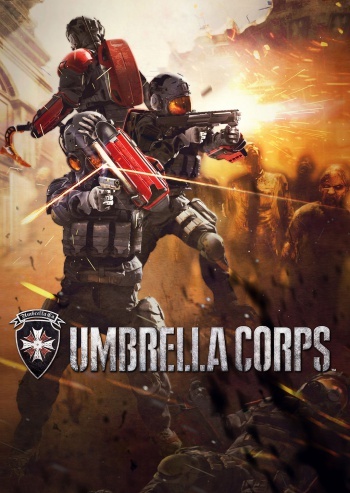 While it is nice to see Capcom try something different, Umbrella Corps is just another un-inspired squad shooter, with a zombie twist. Yeah, it's fun for a few rounds, but I can't help but feel like it would grow boring after long. Let's hope being a downloadable-only title with a lower price tag ($29.99), Capcom will support it with consistent content updates. It would be perfect, for example, to have a mode where all the zombie repellent gizmos were busted right from the start, meaning teams have to deal with both the zombies and the enemy combatants. 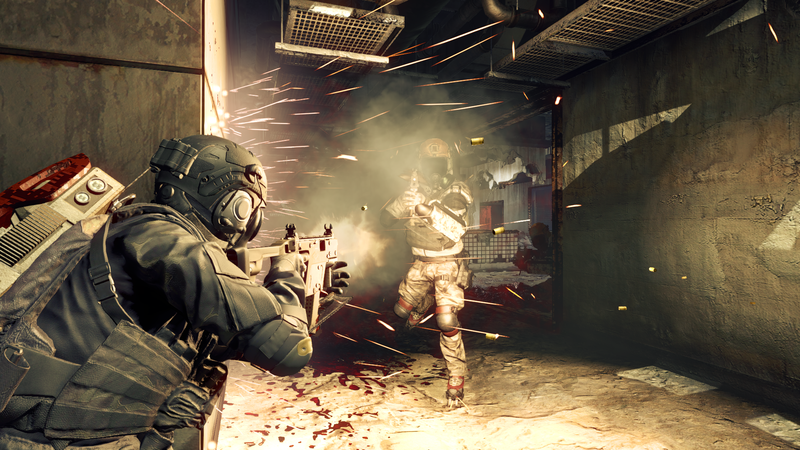 Umbrella Corps is expected to release in 2016 for the PlayStation 4 and the PC in Japan, though no official western release date has been given as of yet.